The manager of a Kenner post office stole $630,000 worth of stamps and sold them online after losing more than $667,000 while gambling in recent years, federal authorities said this week. 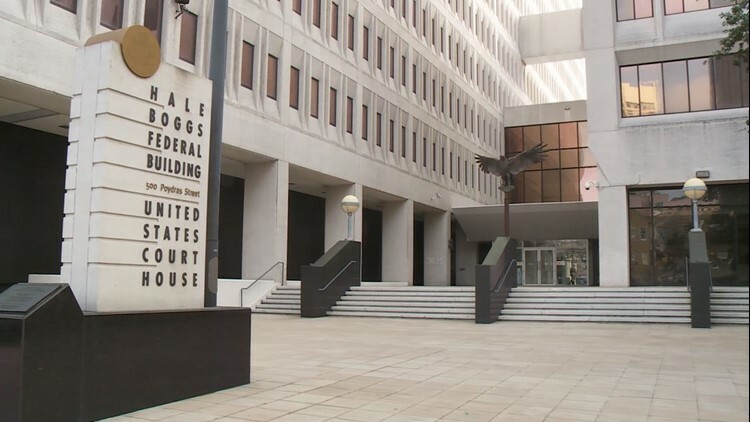 Prosecutors also allege Ryan Cortez, 46, embezzled nearly $10,000 from a church in Des Allemands that listed him as its treasurer. The alleged theft was to fuel a gambling problem to which he confessed, the feds allege. And in the process of allegedly stealing stamps, authorities said, Cortez made history by committing one of the largest internal thefts the U.S. Postal Service has ever seen. Cortez faces accusations of misappropriating postal funds or property following his arrest on a criminal complaint Wednesday. A paper trail led to Cortez’s arrest. According to the complaint, an agent with the U.S. Postal Service inspector general's office noticed there were $630,000 worth of stamps listed in reserve at the post office at 390 W. Esplanade Ave. The usual amount is no more than $70,000. Cortez, the manager of customer service operations at the facility, was frequently in charge of the office’s stock of stamps, which made him the focus of an investigation. Agent William Kuhn noticed Cortez used eBay and PayPal to sell “large quantities of stamps at significantly less than their face value to several individuals,” the complaint said. PayPal had allegedly flagged Cortez’s account for “suspected fraudulent activity” in May. At that time he routinely received checks of about $2,000 to $4,900 for stamps. In one month alone this summer, he deposited $58,000 worth of checks into a Regions Bank account, the complaint said. The complaint said Cortez sold 10,000 stamps with a face value of 50 cents for 38 cents each. Authorities obtained records that showed Cortez was a regular at casinos, including Harrah’s in the Central Business District. The records suggested Cortez withdrew cash at Harrah’s in a way meant to avoid triggering reporting requirements, a “technique … used sometimes by those engaging in illicit money laundering operations,” the complaint noted. The records also showed he lost more than $220,000 gambling last year and a total of $667,522 since 2011 — much more than he earned on his annual salary of less than $71,000, according to the complaint. Additionally, investigators learned that Cortez deposited into a personal account more than $9,000 that belonged to Des Allemands Mennonite Church, where he is the treasurer. When federal agents confronted Cortez on Wednesday, he reportedly admitted that he stole “hundreds of thousands” of dollars worth of stamps to sell on eBay and defrauded his church because he was addicted to gambling. A pair of buyers, one in Montana and the other in New Jersey, bought most of the stamps, he said. Cortez faces up to 10 years in prison and a fine of $250,000 if convicted of the allegations in the complaint. He was initially ordered held without bail but appeared in court Thursday. On Wednesday, unlike the other defendants who appeared before federal Magistrate Daniel Knowles III in prison jumpsuits, Cortez was dressed casually in a button-front shirt and bluejeans. The only signs he faced a serious crime were the chains that shackled his arms and legs. “You have a bit of credit card debt,” Knowles noted as he reviewed documents prosecutors had compiled on Cortez. Knowles eventually assigned him a public defender. A short time later, marshals walked Cortez out of the courtroom, the shackles still around his wrists and ankles. New Orleans Advocate reporter Ramon Antonio Vargas contributed to this report. Danny Monteverde can be reached at danny@wwltv.com.